The G.R.E.A.T. Program is a school-based, law enforcement officer instructed classroom curriculum. With prevention as its primary objective, the program is intended as an immunization against delinquency, youth violence, and gang membership. G.R.E.A.T. has developed partnerships with nationally recognized organizations, such as the Boys & Girls Clubs of America and the National Association of Police Athletic Leagues. These partnerships encourage positive relationships among the community, parents, schools, and law enforcement officers. G.R.E.A.T. lessons focus on providing life skills to students to help them avoid using delinquent behavior and violence to solve problems. The G.R.E.A.T. Program offers a continuum of components for students and their families. The G.R.E.A.T. elementary school curriculum is a skills-based curriculum taught in Fifth grade. 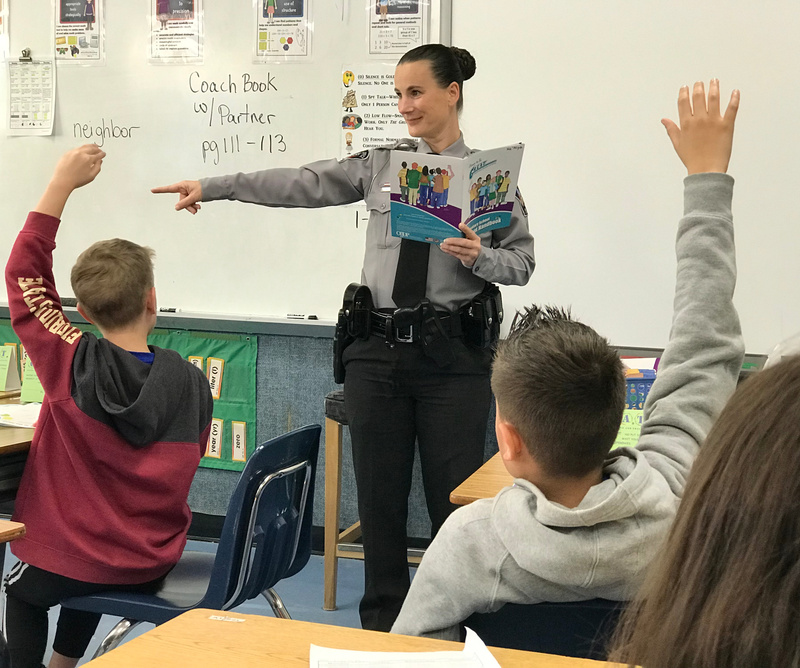 This component helps establish a positive bond between law enforcement and youth while focusing on providing life skills to help students avoid delinquent behavior. The elementary curriculum has integrated National Learning English Language Arts Standards and National Health Standards and is based on effective research practices. For questions regarding the G.R.E.A.T. Program in Harnett County contact Deputy Mandy Leon at 910-893-0169 or mleon@harnett.org.